Innovation is in our DNA at AnalyticsIQ, and that is one thing that will not change – even in a new year. With that being said, we’re excited to unveil 12 brand new predictive data elements that are now available on our PeopleCore consumer database. 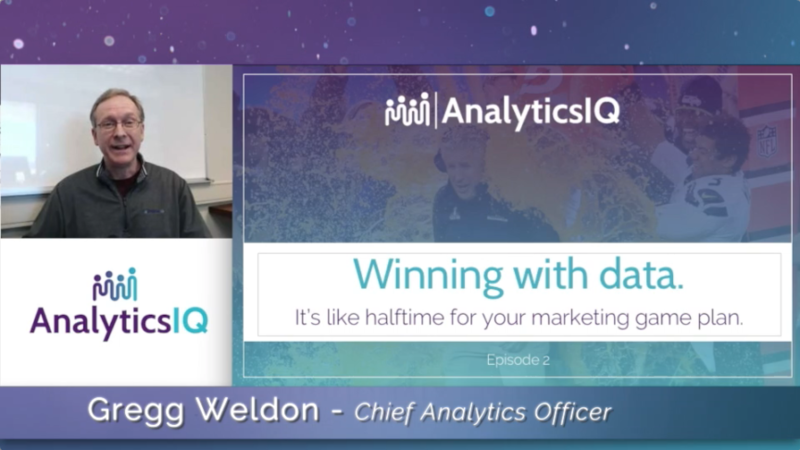 Our Chief Analytical Officer and Data Scientist Gregg Weldon is back with episode 2 of Winning with Data, and you can hear all about these unique variables in the video below. If you’re itching to find out what elements we’ve created, scroll down to simply read the details. So what did we add in the first quarter of 2018? When it comes down to it, there are really only two these we do with our hard-earned cash – we either spend it or we save it! In the first quarter of 2018, we’ve created 5 variables the speak to what consumers are going to spend their money on and 5 variables that relate to the saving habits of individual. On the flip side, most consumers try to save money for their futures. For financial service providers, understanding an individual’s financial motivations or goals is extremely valuable, but unfortunately that kind of insight is typically not gained until some kind of conversation or engagement. We want to help you SAVE some dollars by helping you SPEND your marketing budget effectively, so contact us today at sales@analytics-iq.com to learn more about these or any of our accurate, precise, and predictive consumer data products.